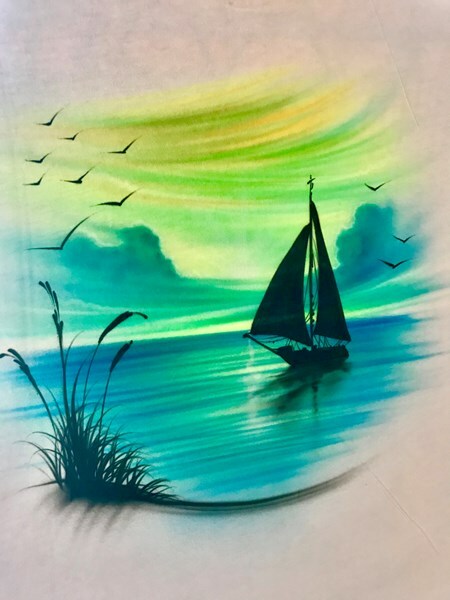 Our team of professionally trained airbrush artists as well as assistants are amongst the top of our industry. Each individually picked and vetted to meet our high standards of professionalism and skill. We are a family of tightly knit friends connected by the desire to please our clients above and beyond what is typical. We provide custom airbrushed painted items Including but not limited to T-Shirts , Hats , Beanies , Tote Bags , and more. We arrive 1 hour prior to our start time for setup. For most events an assistant will take orders as well as organizing in general. ( companies and big organizations sometimes prefer to either use their own staff to assist or hire Brand ambassadors to help out. Our airbrush process is not messy at all , however we do bring a floor covering for the painting are for the rare paint drip. We are insured with a $2,000,000 liability policy. Parents (Bar and Bat Mitzvah's , Birthday Parties , Quinceañera's , Sweet 16 , Graduations , and more. 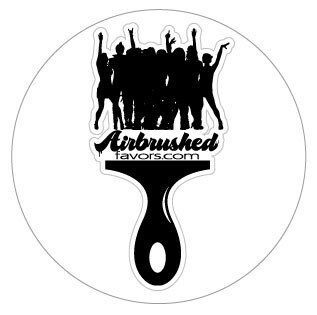 Please note Airbrushedfavors will also travel to Manchaca, Del Valle, Buda, Kyle, Cedar Creek, Dale, Manor, Mc Neil, Pflugerville, Driftwood, Lockhart, Maxwell, Round Rock, Cedar Park, Elgin, Red Rock, San Marcos, Spicewood, Leander, Bastrop, Dripping Springs, Wimberley, Martindale, Coupland, Staples, Fentress, Hutto, Mc Dade, Prairie Lea, Rosanky.